Batten, D.J.1986. The Cretaceous Normapolles pollen genus Vancampopllenites: occurrence, form, and function. In: D.J. Batten and D.E.G. Briggs (eds.) 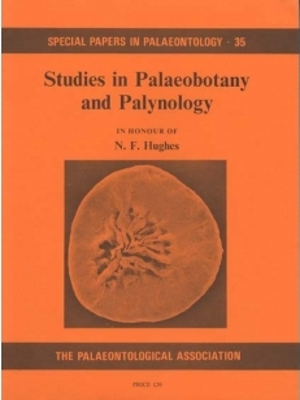 Studies in Palaeobotany and Palynology in Honour of N.F. Hughes. Special Papers in Palaeontology, 35, 21–40. The Late Cretaceous Normapolles genus Vancampopollenites Kedves and Pittau 1979 was erected to accommodate angiosperm pollen grains that have polar 'papillae' and 'secondary apertures'. Both of these features are, in fact, areas of exinal thinning. They have been considered to distinguish the genus from Heidelbergipollis Krutzsch in G6czan et al. 1967 although they are not always present. New descriptions and illustrations, and use of revised terminology, herein clarify the criteria for distinguishing the six published species of Vancampopollenites. Transmission electron microscopy of ultra-thin sections of three of these suggests that wall structure is not taxonomically significant within the genus and is comparable with that in other Normapolles. The pollen grains were probably dispersed by wind. The thinner, structurally modified parts of the wall may have had a harmomegathic function . Restriction of the genus to the Upper Cretaceous of Western Europe and differences in composition between pollen assemblages of similar age from northern and central Europe, Iberia, and eastern North America imply a range of vegetation-types and contrasting climates within the Normapolles Province.